Shelly Larson loves the Word of God and has found it to be challenging, practical, and encouraging through all of life’s ups and downs. 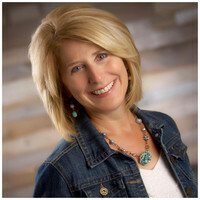 She has a passion to help others discover this great treasure and happily invests time in meeting with women one-on-one, as well as teaching the Bible in large group settings. Shelly is especially thankful for the opportunity to champion the coaching ministry at her home church, the Lansing campus of 2/42 Community Church. She loves to encourage and train coaches in how to effectively help people take their next steps with the Lord. Married to her husband Steve for over 30 years, Shelly is a grateful mom to two precious kids, one dear daughter-in-law, and an amazing 1-year-old grandson! She is glad everyone lives in the Lansing, Michigan, area. Having the whole crew together around the table is one of her favorite events—it’s the simple things that make her heart happy!